Oklahoma City University's Wanda L. Bass School of Music announces an audition tour in China! Oklahoma City University has a long history in China. It was the first non-Chinese university to offer a degree program in China in the 1980's. Locations and dates to audition for Oklahoma City University's Wanda L. Bass School of Music, one of the top 5 music schools in the United States, are as follows—but be sure to check back for audition sites in China to be added later. Students may audition in person at any of these locations. To register for an on-site audition click here. If students are not able to come to an on-site audition they may submit a recorded audition. For instructions for submitting a recorded audition click here. Once on this page, click on “Recorded Auditions”. Students who have a high school degree, or will have one before August of 2019, may apply for the Bachelor of Music Degree. Student who have a Bachelor’s degree in music may apply for a second Bachelors degree that will only require 2-3 years of study (pending transcript review). Students who have a Bachelors degree in music, or will have one before August of 2019, may apply for the Masters in Music degree. For more information about these degrees, click here. Instrumental Auditions: Please prepare two contrasting pieces. Master of Music in Opera or Vocal Performance: Click here for audition requirements. Students Auditioning for the Master of Music in Vocal Performance or Master of Music in Opera Performance will need to provide their own accompanist. Students auditioning for either the Bachelor or Master of Music in Instrumental Performance will not need to perform their audition with an accompanist. Music dancing building room 117. 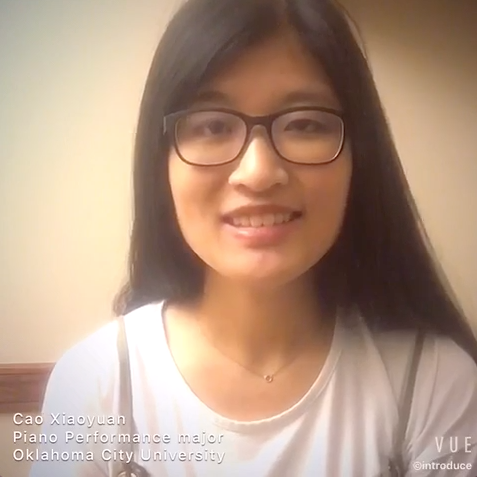 Oklahoma City University, the first Western university to offer a graduate degree program in China, after the founding of the People's Republic of China, celebrates its fourth decade of partnerships in China with an on-site music audition tour. 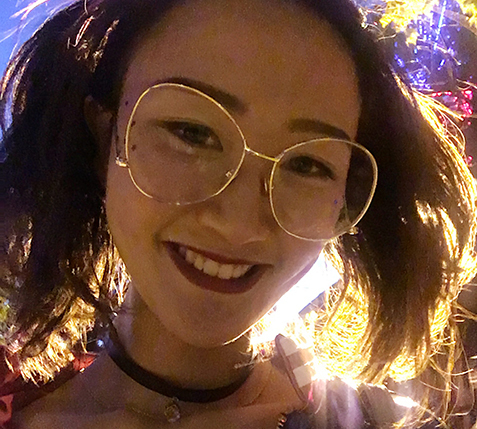 The award-winning, all-Steinway university is traveling to nine cities to identify promising young musicians considering advanced musical study in the United States. Graduates of Oklahoma City University's Bass School of Music are hallmarked by a virtuosic versatility that enables them to excel across creative disciplines. OCU graduates have won Grammy, Emmy and Tony Awards and are renowned for teaching, creating and performing around the world, headlining landmark venues from Carnegie Hall to the Sydney Opera House. Members of the OCU faculty have been described as "legendary" by The New York Times and honored by entities from the Aaron Copland Foundation to the National Opera Association. OCU's 400 music majors are based in the state-of-the-art Bass Music Center, described as "phenomenal" by Music School Central. The school boasts more than 140 Steinway pianos and winner of ASCAP’s national orchestral award for adventurous programming. The school is also internationally recognized as the top school for operas and musical theater productions in which instrumentalists gain a wealth of experience performing in the orchestra. Mason Williams, Guitar: Emmy and Grammy Award winner. Acclaimed guitarist and composer best known for his iconic Classical Gas. Marcin Parys, Piano: Winner of the 20th International Chopin Piano Competition and of Italy’s Ibla Grand Prize Competition, which led to his Carnegie Hall debut in 2016. Marat Gabdullin, Violin: Associate Concertmaster with the Oklahoma City Philharmonic. Hannah Leffler, Flute: Winner of the National Flute Association Orchestra Audition Competition. Karol Kowal, Double Bass: Member of the Warsaw National Philharmonic Orchestra. Ryan Beach, Trumpet: Winner of the Ellsworth Smith International Trumpet Solo Competition, past principal trumpet of the Indianapolis Symphony and current principal with the Alabama Symphony Orchestra. Eun-He Park, Piano: Pianist with the trio enhake, winner of the Yellow Springs Chamber Music Competition and the International Chamber Music Ensemble Competition at Carnegie Hall. Sarah Coburn, Soprano: Internationally acclaimed and award-winning operatic coloratura soprano, featured globally with organizations such at the Metropolitan Opera in New York, the Moscow Philharmonic, Glimmerglass Opera, and the Washington National Opera. As part of the application process, a certain level of English Proficiency will need to be met. For more information on OCU's language requirement, please click here. Students should apply to the university before their audition. Visit our international admissions website to get started. Applications to the university may be submitted after your audition. Click on the images below to hear from our students!